إذا كنت تبحث عن فندق بموقع جيد في سايبان، فقد وجدت ضالتك في فييستا ريزورت آند سبا سيبان . يسهل الوصول إلى هذا الفندق ذو 4 نجوم من المطار، فهو يبعد عنه مسافة 11.9 km فقط. يوفر الفندق بفضل موقعة الجيد وصولاً سهلاً إلى أهم معالم المدينة.
. إن فييستا ريزورت آند سبا سيبان حريص على توفير الراحة للنزلاء، فلا يوفر الموظفون جهداً في تقديم أفضل الخدمات وضمان حسن الاستقبال. يمكن للنزلاء الاستمتاع بالميزات التالية: مرافق مخصصة لذوي الاحتياجات الخاصة, واي فاي في المناطق العامة, خدمة صف السيارات, صف السيارات, خدمة الغرف أثناء إقامتهم في هذا المكان الرائع. يمكن للنزلاء الاختيار من ضمن مجموعة من الغرف المصممة بعناية لتعكس جواً من الراحة، والتي يتجاوز عددها 416. يمكنك الاستمتاع بالأجواء المريحة التي تقدمها شاطئ خاص, مركز للياقة البدنية, حمام سباحة خارجي, سبا, تدليك طوال النهار. إن كنت تتطلع إلى إقامة مريحة وهادئة في سايبان، فستجد في فييستا ريزورت آند سبا سيبان بيتك الثاني. تتوفر خدمة انتقالات المطار مقابل 15 دولارًا أمريكيًا للفرد البالغ ذهابًا أو إيابًا، و8 دولارات أمريكية للطفل (4 إلى 11 عامًا) ذهابًا أو إيابًا. في أيام الأحد، لن يتم تقديم الغداء. سيتم تحصيل 22 دولار أمريكي لكل شخص بالغ و 20 دولار أمريكي لكل طفل يرغب في تناول الغداء في هذا التاريخ. في العطلات الخاصة التي تندرج تحت أيام الأحد، سيتم تحصيل 42 دولار أمريكي للشخص البالغ الذي يرغب في تناول وجبة الغداء و21 دولار أمريكي لكل طفل. - Location is good. Near the shopping zone but they have private beach. Nice!!! - Room is clean and breakfast is good. i stayed in the executive room. The food provided was not bad. very convenient as it takes you 3-5min to the restaurant area. You may want to check with the reception that weekly, there is a very good night market in front of the hotel - Many choices of street food. 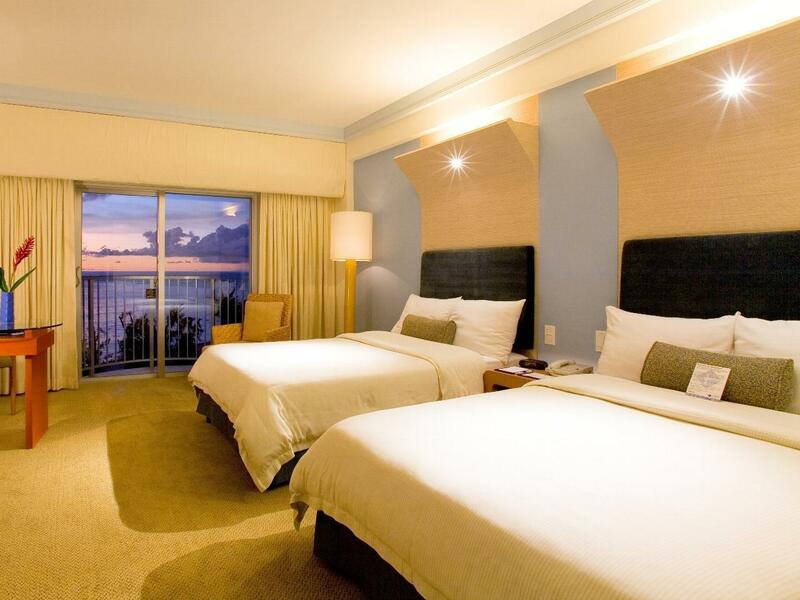 Nice hotel, good facilities. Very lucky to choose this hotel as there was a typhoon when i just arrived. Everywhere was no electricity, water and internet except this hotel. They provide very high standards of service even the typhoon destroyed the city. 1. newly interiored and clean. 2. great beach. 3. reasonable price with good care. Beach was great and food was good. Try the Chinese restaurant in front of the front gate. Taste was good but cheap. You can go PIC or World resort with DFS shuttle bus if u have kids. This resort is better suited for couples but they also have small but nice pool. WIFI was fast enough to join video conference in my room in second floor. They offer wifi in the lobby only but it worked in the second floor too.
. The view of the executive room we had stayed was fantastic. We could see the beach and the garden and a swimming pool, though the left side of the garden was on construction. ;- The food of breakfast and tea time were good. But not much difference in every day. If we stay for a week, we would be fed of with the similar food. We stayed five days. I like the stone floor tiles in our bathroom and a bath where we could see the bedroom as well as the clear sky of Saipan. The pool was not clear. I could not see clearly inside of pool. We were upgraded to exec floor, but not allowed access to exec lounge. Silly really. Hotel needs to upgrade the elevators, but rooms were clean although small. Nice location near casino and close to restaurants and shopping. 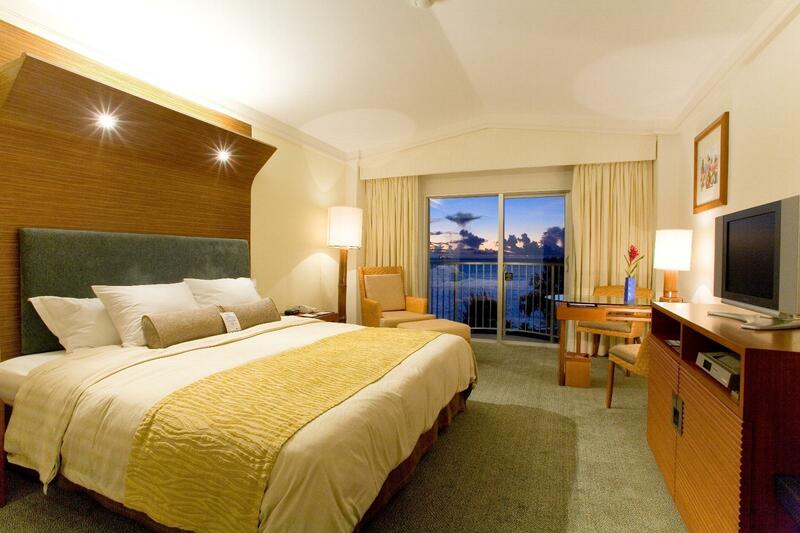 Not good value to stay except the beach sea view , but there are plenty of other resorts to book in Saipan. Compared to Aqua Resort Club, Fiesta definitely wins on location. The beach here is beautiful and it is also located in the centre of town so there are plenty of restaurants and stores nearby. The environment may not look as sophisticated as Aqua Resort Club, but it has everything you want / need in a typical island resort so I really enjoyed my stay here. Fiesta has nice beach and pool on front side. easy to access to Mahagana island. several shops for suvenier and restaurants are near the Hotel. we got room with breakfast. but the breakfast was not worth to pay that much. Good place for family. 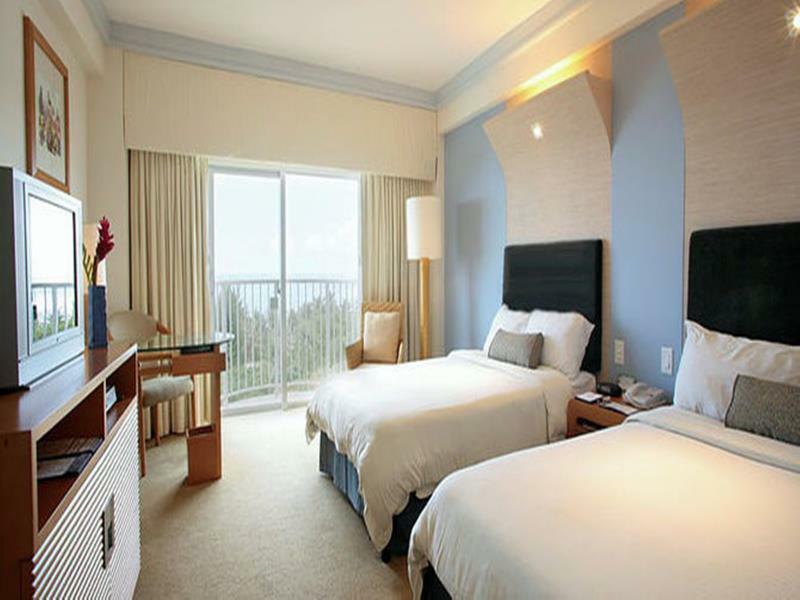 The greatest hotels in Saipan are known as Hyatt, Fiesta, PIC and so on. Among them, I think that Fiest is best considering the price and the location. 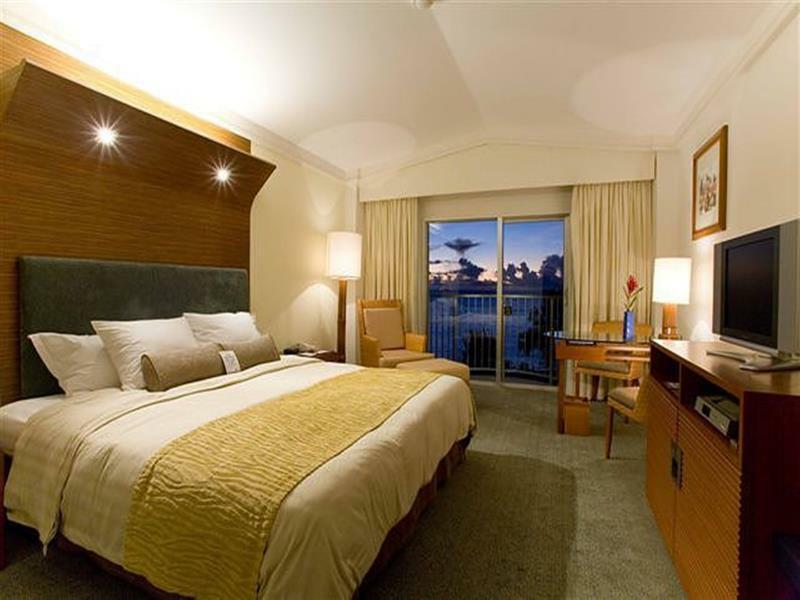 It is located in Garapan like Hyatt, but the price is cheaper than the price of Hyatt. The hotel was nice and relaxing! VERY glad we opted for the executive room with breakfast. The room and view were great and it had way more than a continental breakfast. Plus there was "tea time" with snacks (12-2) and cocktails (5-7) which we ate as light meals. Had we not opted for the executive room with breakfast we would have had to spend a whole lot more time and money on getting meals. The location is great - on the beach side of the main area Garapan. 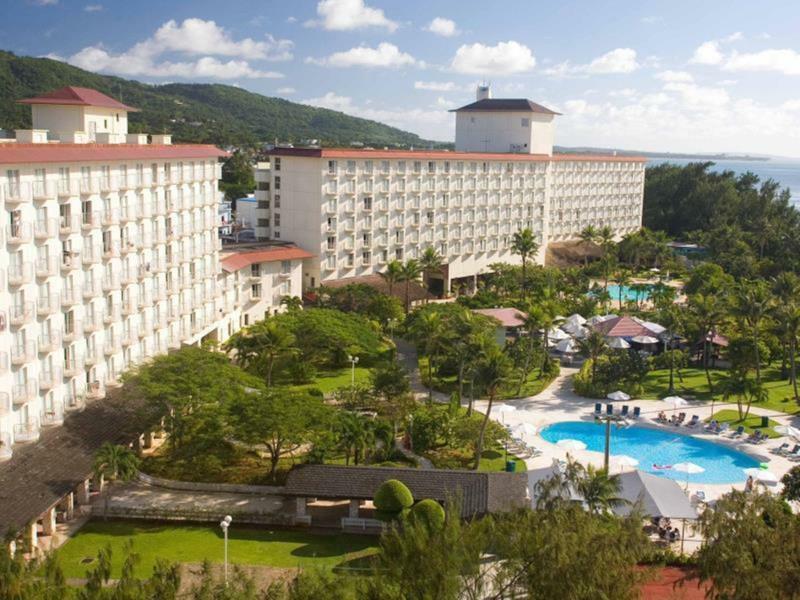 But I felt that this resort is showing its age, and for the $200+ per night there are many others in Saipan that could be better. For me the most frustrating flaw was the near-useless WiFi. Being a business traveller, I need a good internet connection from the room to work in between meetings. The WiFi at the Fiesta was so slow and unreliable that, in the end, I just gave up trying. The staff were great, always friendly and helpful. But next time I will try elsewhere. Building and amenities are great quality. Overall cleanliness got high points with me. Staff is very attentive. The bed was a bit too hard for me. I asked to have extra padding put on the the bed due to my lower back becoming sore from the bed. The Internet was painfully slow. Difficult to send and receive documents for work. I would recommend a stay at the hotel because it is clean, and the staff is very attentive, and helped with any requests. Aside from my negative points above, I believe the rest of my experiance was wonderful. Three stars from me. I have been coming to Saipan for many many years but this was the first time with a family. We had an ocean view suite. I liked the location and the beach. The food choices were somewhat limited and we did not even try the World Cafe, just didn't look like fun to me. We ate at the outside cafe instead and that was fine. There should be more choices for breakfast. Overall I would stay at the hotel again. I stayed for 4 nights @ the Executive room of Fiesta last September with my friend. It locates in the center of the area, which is pretty convenient to get to any store or restaurant. The executive lounge serves us both the breakfast and afternoon cocktail, which is palatable and private. The private beach is excellent and I stayed a whole day enjoying. Good hotel with facilities for all family. Good location on a beautiful beach. Close to the main restaurants even if Saipan is not the most alive place in the world... The negative point is that you have to pay for the transportation from the airport to the Hotel.